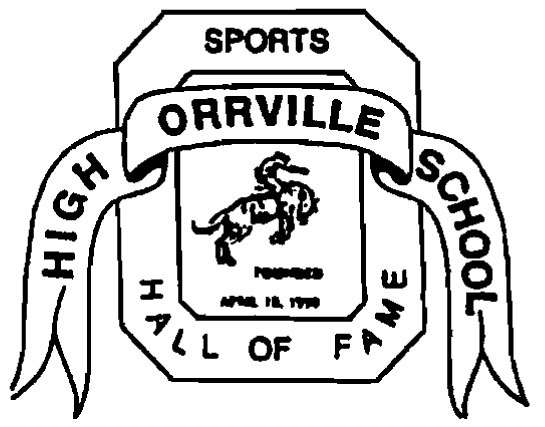 The 11th induction class of the Orrville Sports Hall of Fame has been confirmed and will be inducted on October 8, 2011 at Orrville High School. This year's class of eight inductees puts the total number of OHS-HOF inductees since the first induction in 1991 at 89 members. My own personal opinion...this is a very solid class of high achievers, both at high school and in college, and as you'll read, some very solid classroom achievers as well. Most excelled in multiple sports and a lot of the class saw success at the highest level of high school athletics, the state tournament. In fact, 7 of the 8 either qualified for the state tournament or were named All-Ohio at some point of their high school career. Once more, please let me clarify how this nomination and selection process works. I know last time and probably every time this happens, there's some that think the inductees are handpicked, and that couldn't be further from the truth. The Sports Hall of Fame committee (which I am honored to say I am a part of)...receives nominations from the general public. Announcements were made on the radio, in the newspaper and on this very website to send in nominations. Those nominations were compiled into a list, which I believe was over 50 this time around. That list was narrowed by a vote to 20 finalists, and from that list, up to 10 finalists that receive a majority vote, are the induction class. Inductees MUST ACCEPT the invitation for induction. If you can't at least call that a fair process, I'm not sure what to tell you. 1. Bob Howard - Class of 1960. Three-year starting running back, Offensive MVP in 1959, Captain in 1959. Three-year starter in basketball. 2. Karyn (Sullivan) Thomas - Class of 1981. Placed at state track meet for three straight years. Still holds school record in the 800m and 1600m run. Led girls basketball in scoring and rebounding in both her junior and senior years. Ran indoor & outdoor track at Kent State. In top 10 of many Kent St. track records. 3. Loren Burkey - Class of 1993. Two-time state placer at the state wrestling tournament. Two-way starter in football at OHS. Two varsity letters at the University of Toledo. Named scholar athlete by both Toledo and the Mid-American Conference while at Toledo. 4. Clay Tipton - Class of 1988. Three-year football letterwinner, co-captain his senior year as well as 1st Team All-Ohio and the Beacon Journal Defensive Player of the Year. Three-year letter-winner at Eastern Kentucky University, starting linebacker. 5. Brent Steiner - Class of 2000. First male inductee from the new century. Earned 11 varsity letters (3 in football, 4 in wrestling, 4 in track). All-Ohio in 3 sports. Two-time state wrestling qualifier, state track qualifier in 2000. Member of 1998 state champion football team, two-time football All-Ohioan. 6. Ray Eshenaur - Class of 1993. First tennis player to earn induction. Four-year letter winner in tennis. Qualified for state tennis meet in 1993. Played at the college level at Walsh University. 7. Shane Hartzler - Class of 1996. Three-time state qualifier at state wrestling meet. Was runner-up in 1994 and state champion in 1995. One of three OHS wrestlers to win a state title. Played on state final and state semifinal football team. Wrestled at Ohio University, named captain & All-MAC academic team his senior year. 8. Jason Haley - Class of 1989. Two-way starter in football. All-Ohio linebacker, conference defensive MVP. Received football scholarship to the University of Akron. Current football defensive coordinator at OHS. 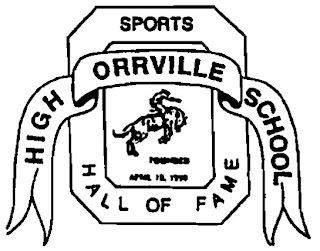 There will also be a recognition of Orrville's first state-title winning team, the 1991-92 boys basketball team. Congrats to the induction class. I'll pass along information about the induction ceremony as we get closer to October. Don't forget about the OHS Hall of Fame's annual golf outing this Saturday at Riceland Golf Course. The money raised goes toward funding two $1,000 scholarships for OHS seniors at the annual senior assembly. Info sheet is here. Hope to see a big turnout.